10/79. Detroit, Michigan. 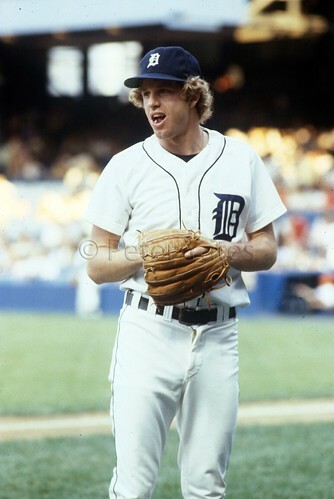 Mark "The Bird" Fidrych getting ready to pitch at Tiger Stadium in a game against the Red Sox. Photo by Peter Yates.